Quality and Throughput from Wafers to Semiconductor Packages. 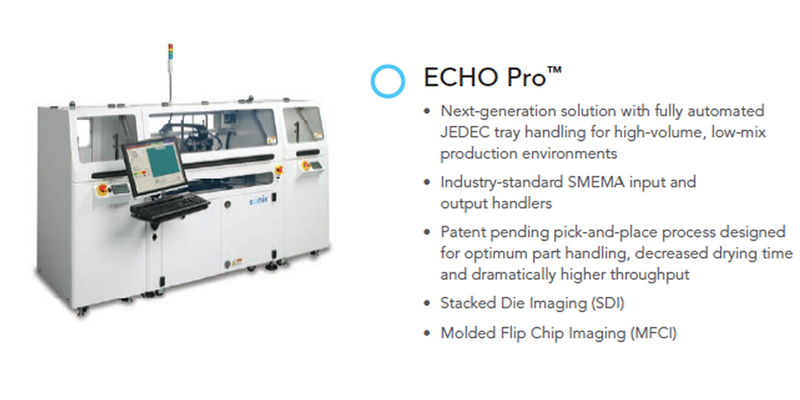 Front-end wafer and back-end packaging processes are being put to the test with new materials, form factors and performance demands. Fabs and foundries need to demonstrate technology leadership, continuously advancing product design and production scale. We offer high-speed, high-resolution imaging solutions to keep front- and back-end innovations on track for quality and profitable production. We were the first to offer an automated wafer system, and today our scanning acoustic microscopes are used in more front-end applications worldwide than all other systems combined. 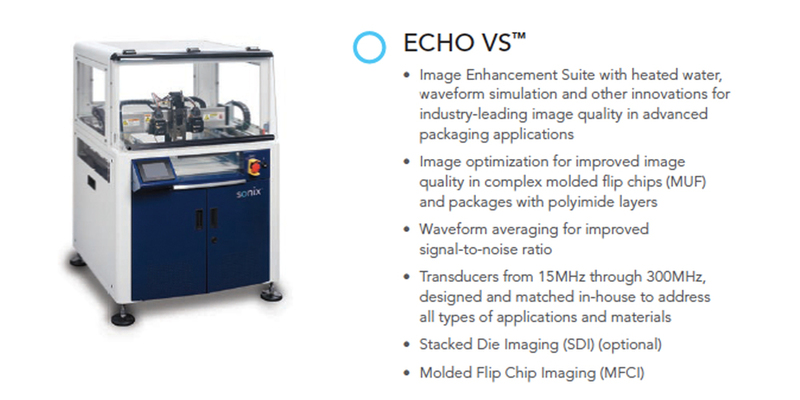 Our ECHO™ scanning acoustic microscopes set the standard for uptime, speed and quality to help you keep pace with new materials, difficult form factors and exponential progress in semiconductor package design. We Listen, Collaborate and Act for your Success. Training and software to help you reach full productivity. Consultation to advance your capabilities. Service levels an support throughout your solution lifecycle.